Season 13 of The Voice premiers September 25th on NBC. It feels so good to celebrate my 10th season with this wonderful show! I have so many people I’d like to thank, starting with a huge shout-out to my friend Roger Love. Without Roger’s personal recommendation I wouldn’t have had this amazing opportunity. 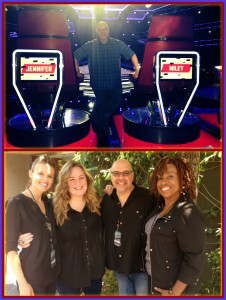 Thank you to the vocal dream team I work with, guiding our artists through the Blinds. You are master coaches and you inspire me to be my best. I love working with you! And thank you to the producers of The Voice, who give their all in making this show a true celebration of talent, spirit and growth. I couldn’t be happier for this journey, and for the fine company who make every step of the way special. Copyright © 2019 Peter Pergelides . All Rights Reserved.